Since 1950, Republic Day of India is celebrated on 26 January. It is celebrated with the salute of 21 guns and unfurling of the Indian National flag by the Prime Minister of India. We know India became Independent from British rule on 15th August 1947 and adopted Constitution on 26 January, 1950 by declaring ourselves as Sovereign, Democratic and Republic State. Every year, 26 January is celebrated with immense pride & happiness all over the country. Evolution of India from a British colony to sovereign, democratic and secular nation was certainly historical. It was a lengthy journey of around 2 decades that started with the conceptualization of the vision in 1930 to its actual comprehension in 1950. A stare into the expedition that led to the birth of Indian Republic will make our carousing more significant. Do you know that at this day a massive parade held at Rajpath in New Delhi before the President of India which reflects power, force, different regional models reflecting cultural themes and motifs. 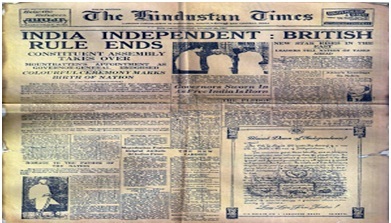 When India became Independent on 15th August 1947, our country did not have its Constitution and in total it was dependent on the colonial Government of India Act, 1935. Until the adoption of Constitution in 1950 India’s head was King George VI. But prior to this seed of Indian republican nation was sown by Pt. Jawaharlal Nehru in Lahore Session of INC (Indian National Congress). Now, let us see Lahore Session in detail. 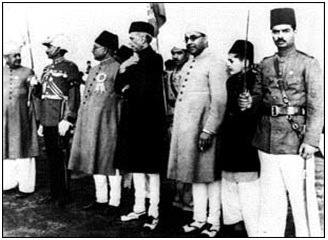 The seeds of republican nation were disseminated at Lahore conference of Indian National Congress at the midnight of December 31st, 1929. The session was held under the administration of Pt. Jawarhar Lal Nehru. Nationalists present in the summit took an oath to mark January 26th as "Independence Day" so as to march towards realizing the vision of absolute independence from the British. The Lahore Session lined way to Civil Disobedience movement. It was made certain that 26th January, 1930 would be observed as the Purna Swaraj Day and unflurled the tri-colour flag by taking a pledge to celebrate complete Independence Day every year on 26 January.. Numerous political parties of India and revolutionaries of India from all over India united to observe the day with honor and pride. (i) Sir Pethick Lawrence, Secretary of State for India. (ii) Sir Stafford Cripps, President of the Board of Trade. (iii) Alexander, the First Lord of the Admiralty. Do you know the main objective of this mission? - To devise a machinery for making up the Constitution of India. - Arrangements for Interim Government. - There shall be the Union of India which was to be empowered to deal with the defence foreign affairs and communications. - The Cabinet mission did not accept the demand for Pakistan. - Restricted the Communal Representation. - All the members of Interim Cabinet would be Indian with minimum interference by the Viceroy. - Other than Union Subjects all the residuary powers will be vested with the Provinces. - The representatives of Provincial Assemblies and the Princely States would be formed by a Constituent Assembly and provincial legislatures were grouped into three sections. Group B: Muslim dominated population area like Punjab, Sindh, NWFP, Baluchistan. Group C: Hindu and Muslim both like Assam and Bengal. 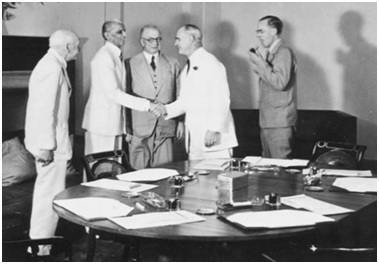 Here, it is to be noted that whether the Cabinet Mission did not accepted the demand of Pakistan but grouped the Provinces in such a way which indirectly supported the idea of Pakistan. As a result Congress accepted the plan, Muslim League first accepted and later on July 29 rejected it and call for an Action Day for achieving Pakistan. Aug 16, 1946 was fixed as Direct Action Day. Indian Constituent Assembly, which was formed as a consequence of the discussions between the Indian leaders & members of British Cabinet Mission, had its 1st meeting on December 9, 1946. 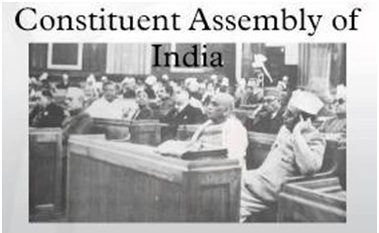 The purpose of the Assembly was to present India a Constitution, which would serve a lasting principle & hence selected a number of committees to methodically explore an assortment of aspects of the projected constitution. The recommendations were debated, discussed & revised many times before Indian Constitution was confirmed & officially adopted 3 years later on 26thNovember, 1949. Although India became a free nation on 15th August, 1947, it enjoyed the true strength of Independence on 26th January, 1950 when the Indian Constitution finally came into force. The Constitution gave the Indian citizens the power to administer themselves by opting their own government. Dr. Rajendra Prasad took oath as the 1st President of India. Ever since the remarkable day, 26th January is distinguished with festivities & patriotic zeal all around the nation. The day owes its significance to the Indian constitution that was espoused on this day. 3304 Views Why is Sachin Tendulkar not included in the ICC Hall of Fame? 3005 Views What is Money Laundering and how is it done? 2584 Views What are Grey List and Black List of the Financial Action Task Force?